Walk into any recording studio, and you’re likely to find Shure microphones in the mic cabinet. SM57s, SM7s, and Beta 52s are never too far away. Considering what we heard from the new line of Beta microphones, you’ll be seeing them too. 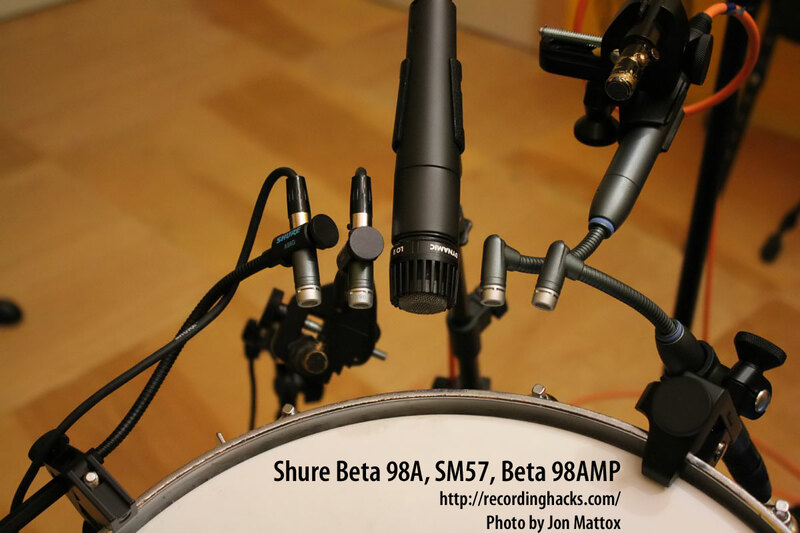 Read on for Jon Mattox’ studio review of the new Shure Beta drum mics: the Beta 91A boundary mic, the Beta 98A and Beta 98AMP miniature drum condensers, and the Beta 181 overhead condensers. Contributing to this article is my friend and great engineer/mixer Stan Katayama, who joined me for the recording session. 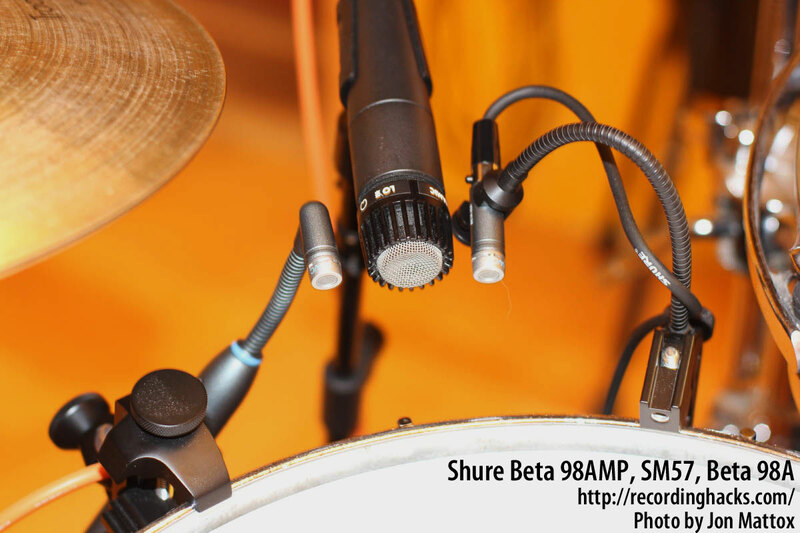 We tested the Shure Beta mics on acoustic drums. Before we began, Stan had a great idea to do a quick mic shootout with the new Beta microphones along side some well known mics (and a few rare ones). 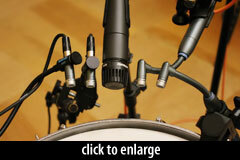 The first thing we tried was to line the mics up as tight as possible and record a drum kit to Pro Tools. The mics were set about 3ft off the floor and 5ft from the kit. 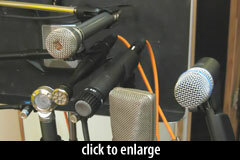 Then we added 4 other microphones to the line up. They are vintage 70s Neuman U87, Shure SM57, JZ BT201, and Telefunken/AKG D19 (aka the Ringo mic). We did this test recording to get a quick big picture. I know some of these are not intended to be used this way. Their prices vary; some are dynamic, and some are condensers. It’s not a good comparison, but this allows us to grasp each mic’s character quickly. One mic stood out immediately. It was the darkest among the nine. But it was dark in a good way, like rich dark chocolate. I knew this was U87. It has deep bottom and flat silky top compared to the others. The U87 being the darkest means all the other mics high range must be pumped up more or less. I have used Crown PZMs often, so I’m familiar with the sound of the Beta 91A. 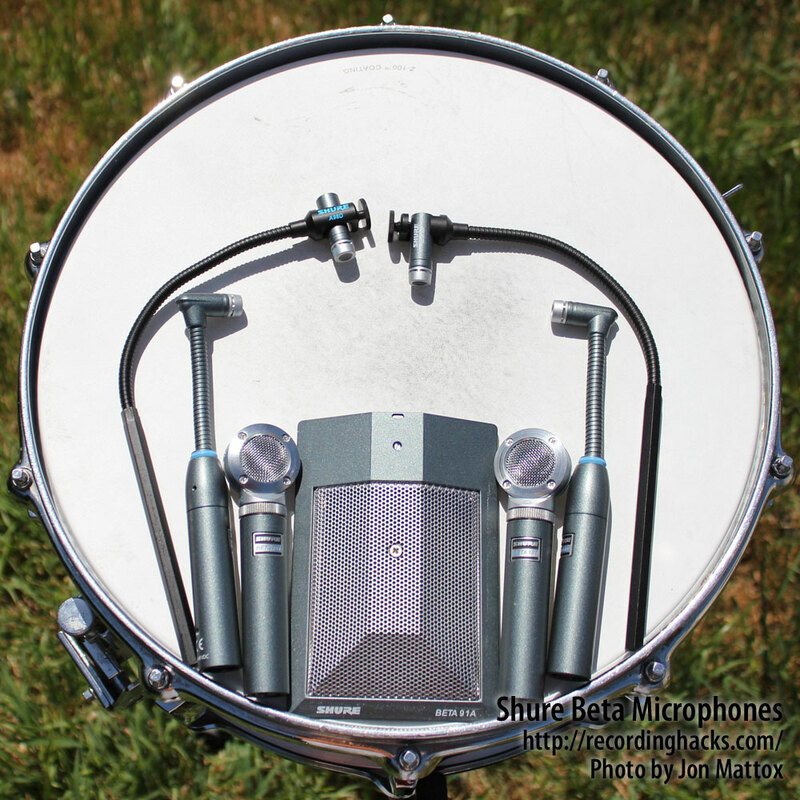 Boundary mics have their own character — the extended low, a hole in the low-mids, the splashy highs. It’s the PZM sound you can’t mistake. I like Beta56A a lot. It’s tight, bright and it has nice body to it. It lacks low end but if I get it close to the head, it will fatten up. Nice. I want this one for my next drum session. I liked the Beta98s as well. They sound similar to Beta56A. The 98AMP is brighter than the 56A. The difference between the 98A and 98AMP is quite big even though they use the same capsule. The 98AMP comes with a built-in head amp and sounds brighter and more present. I have mixed feelings about the Beta 181. My notes say this mic has better low end but the high end is peaky. Images are big but not sharp. It picks up a lot of room. I didn’t like it. But later on, when we put this mic on drum overhead, it was a different story. It sounded nice and clean as an overhead mic. It might work on the piano or an acoustic guitar, as well. I guess this one needs more investigation. A microphone that looks this good should sound great. The SM57 was my reference. It’s got meat, it’s bright and punchy, and lacks low end. It reacts to 1176 well. No wonder this has been a popular choice for both live and recording for decades. During the blind test, I mistook the SM57 for the Beta 98AMP. Almost 50 years apart, these two mics sound very similar. I’d check close mic character of these two. Now the AKG D19, the famous Beatles microphone… Did the magic happen? In short, no, I was disappointed. It sounded narrow, with peaky high-mids. The sound image was distant and unclear. My notes put the D19 in the bottom. OK, I don’t like it. But it’s the Ringo mic! I wanted to approach these recordings like a typical indie session that I (or you) might do with an artist or band. “Indie” meaning tight or small budgets where time is of the essence, and instead of weeks to dial in a kick drum sound, you have only a few minutes. Stan and I used some standard techniques to close-mic the drums, and we wanted to get sounds quickly, and not fuss too much with mic placement (remember time is of the essence). In addition to hearing the drums on their own, I picked out one of my instrumental songs to play drums to so we could hear how everything sounded in context of a song recording (it is about the music right!?). 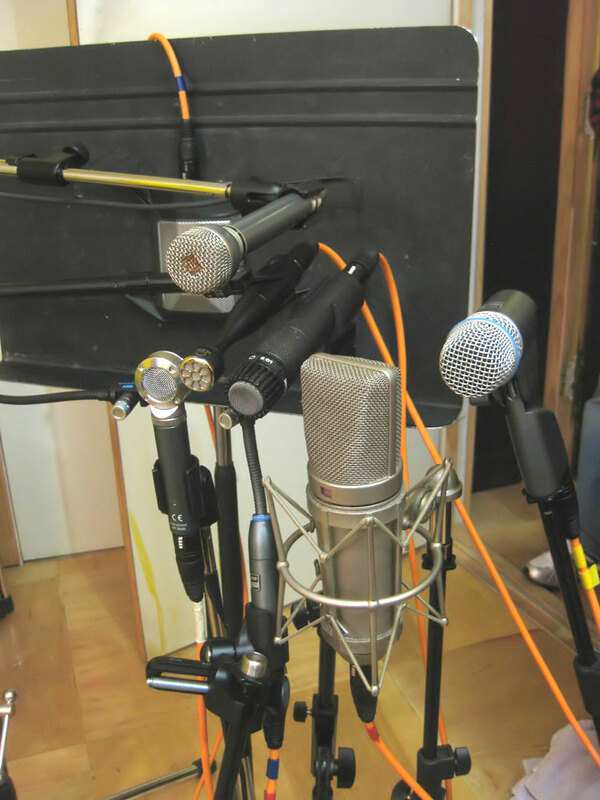 After recording with the Beta mics, we later changed the microphones to one my typical recording setups with other mics, to compare sounds with the Betas. The Beta 91A is a boundary microphone that has a solid build and it feels like it could survive a war zone. 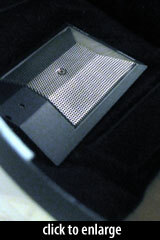 It is designed to rest on a pillow or padding inside of the kick drum. It has one option, a contour switch which cuts 7db at 400Hz. Engaging this switch did add a bit more punch on the top and bottom end, but it was not a dramatic difference. Having the contour switch engaged did sound better however. We placed the mic about 3 inches from the batter head. We got a great sound quickly that had lots of bottom and a good click sound too. This obviously works on kick drums that have no resonant head, or at least have a hole big enough to get the microphone through. 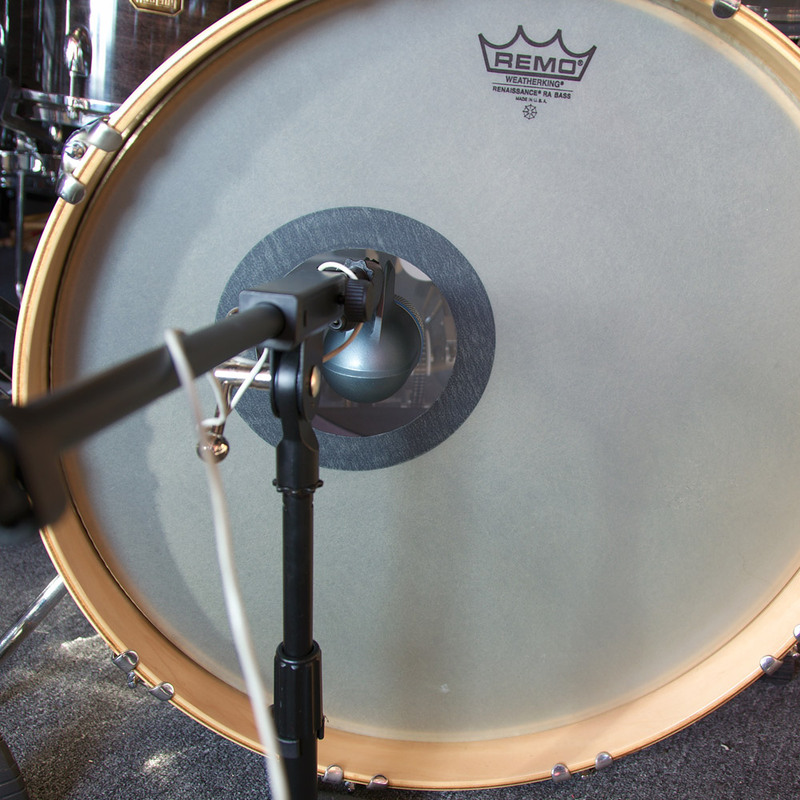 Kick drums with no hole in the resonant head would require a different microphone. 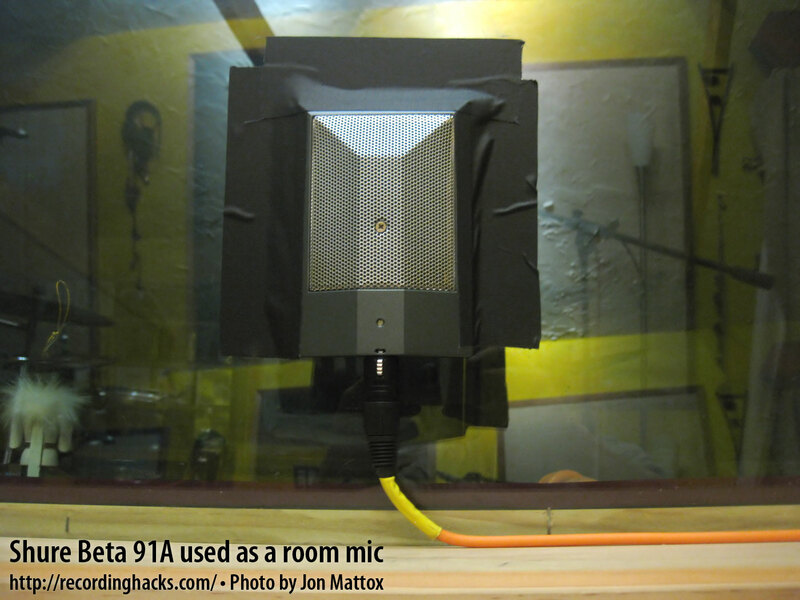 As a side note, since I’m always experimenting with mics and mic placement, I later used the Beta 91A as room mic during a singer/songwriter session that I was recording drums for. I taped it onto my live room window which essentially turns the entire window pane into a microphone. I’ve done this with good results with PZM mics in the past. Here are two examples with the Beta 91A. The first is a mid tempo rock groove played with sticks. The second was a tom driven groove played with blastics. I was pleased the way the Beta 91A sounded as a room mic. 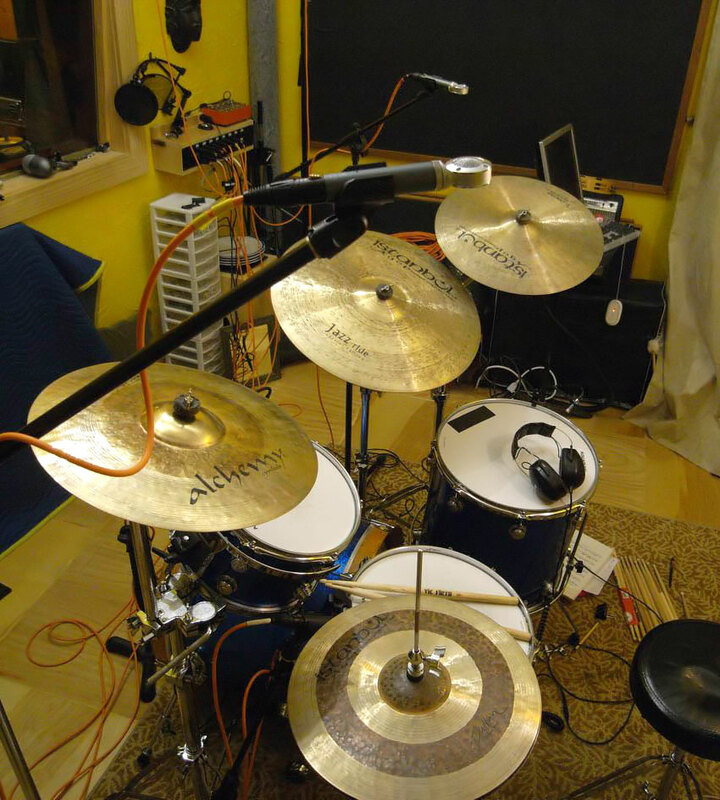 Since the window was at the hight of the cymbals, the cymbals came through a bit strong, but, with some compression and eq, you can give treat these room mics to create some character and depth to a drum sound. The Beta 98AMP is a miniature condenser microphone with a uniform cardioid polar pattern. 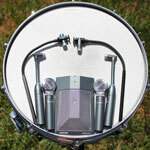 It features an integrated preamplifier, and the A75M microphone mount that clamps onto the rim of the drum. This mic (and especially the mount) feel solid and well manufactured. 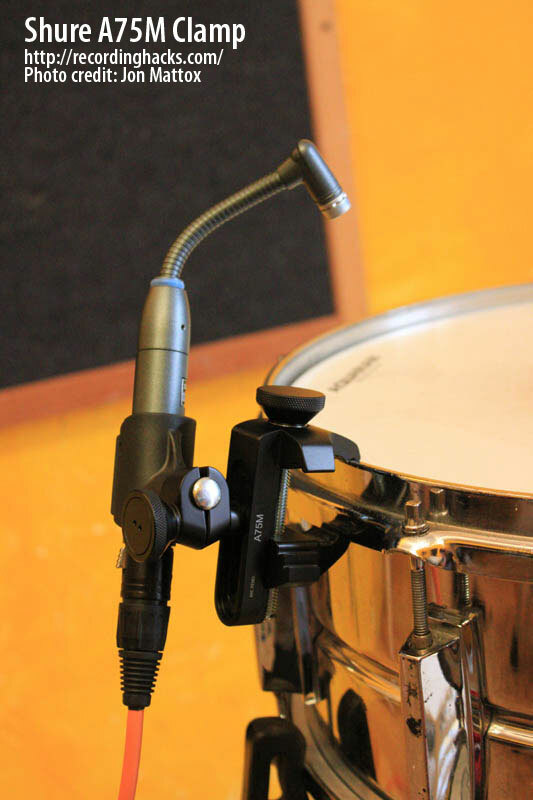 The gooseneck of the mic is strong and flexible, and in combination with the mount (which features a mic clip on a pivot), allows for quick and easy changes of mic position. 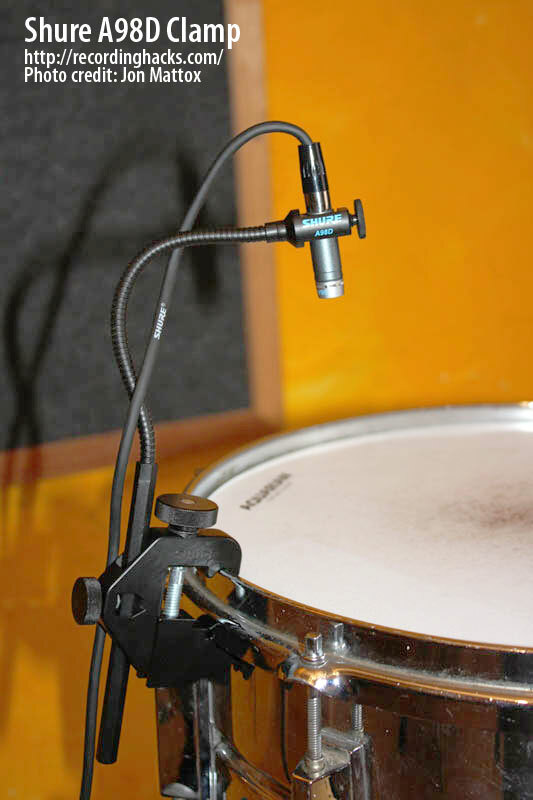 This a welcomed change to standard mic clips and mike stands which are often awkward to use when repositioning a microphone. We put up the Beta 98AMP along side a trusty SM57 on the top side of the snare for comparison, and we were both initially shocked that they sounded quite the same. Upon closer inspection, the Beta 98AMP does have a small high end boost above 8k compared to the SM57, and I found it also has a bit more high hat bleed than the 57. 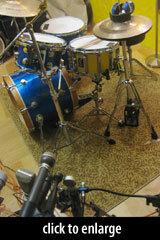 Putting a 98AMP on the bottom snare head proved also to produce a great sound: plenty of punch and top end too. Again you would most likely need to engage a high pass filter at some point on the signal flow because there was a bit of unwanted low end frequencies coming through. On toms we used Beta 98As. Specifically, the Beta 98A/C which, like the 98AMP, has the same uniform cardioid polar pattern. It comes with its own mic cable that has a proprietary connector to the mic on one end, and an standard XLR connector on the other. It ships with the A98D drum mount which clamps on the rim of the drum as well, but unlike the mount for the 98AMP, the base of it is fixed and can only be positioned vertically or horizontally. To compensate, the gooseneck is longer, but I did find this design to be a bit more difficult to position the mic than the one included in the 98AMP. Once the Beta 98As were in position, we recorded a test, and I was immediately impressed by how punchy, full, and bright the toms sounded. Again, like all of the mics, we didn’t need or want to fuss at all with our initial mic positions. I like that part a lot! Again on a technical note, the Beta 98A has a high output level (not as much as the 98AMP, but it still more output than most mics). The Beta 181 is a small diaphragm side-address condenser microphone which has a sleek design and unique look that I like. It features an interchangeable capsule design which makes the mic even more appealing and versatile. 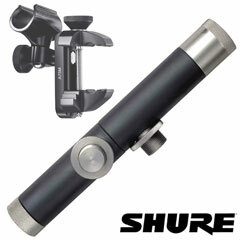 We had the standard cardioid capsule, but Shure also offers omni, supercardioid, and bidirectional (figure-of-8) capsules. We set the Beta 181s up as a pair as spaced overheads over the drums, and like all of the mics in this review, we set them up, and Voila! they instantly sounded great on our initial mic positioning. I took to the sound of these microphones immediately as they have a clean, open sound with a great mid to lower mid presence that captured the body and punch of the drums well. 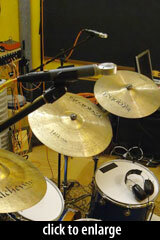 Cymbals translated with great clarity and without sounding too bright or harsh like overhead mics can often sound like. The following tracks have no EQ, compression or gates. Kick – Beta 91A has a nice bottom and click. Beta 52 has a good bottom mids, but could use more click. 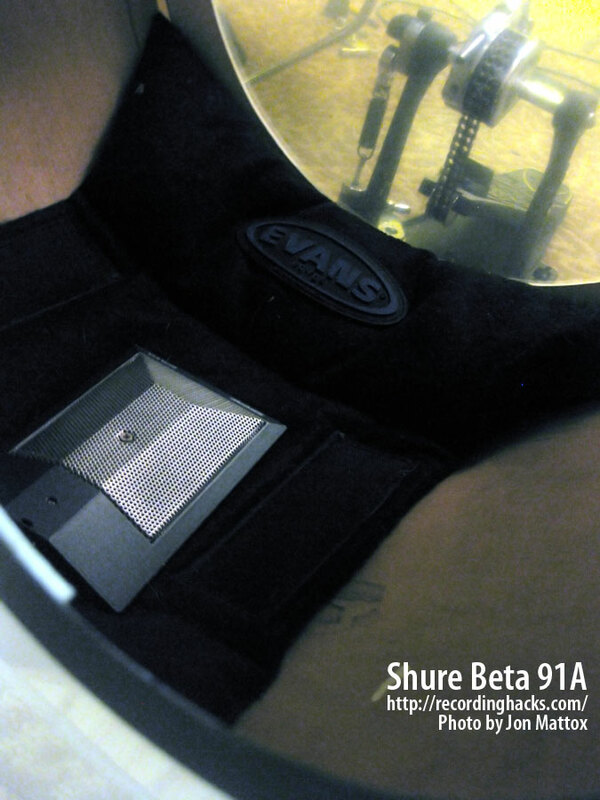 Snare Top – Beta 98 AMP has a bit more high hat bleed. SM57 has a bit more punch and slightly brighter. 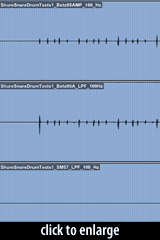 Snare Bottom – Beta 98 AMP needs a high pass filter . Unidyne III sounds a bit fuller in the mid frequencies, and has more attack. 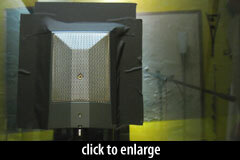 Tom 1 – 98A sounds brighter and bigger in the lower mids. Sennheiser e604 could use a bit more attack. Tom 2 – 98A has a better bottom end. Sennheiser 604 could use a bit more low and low mids. 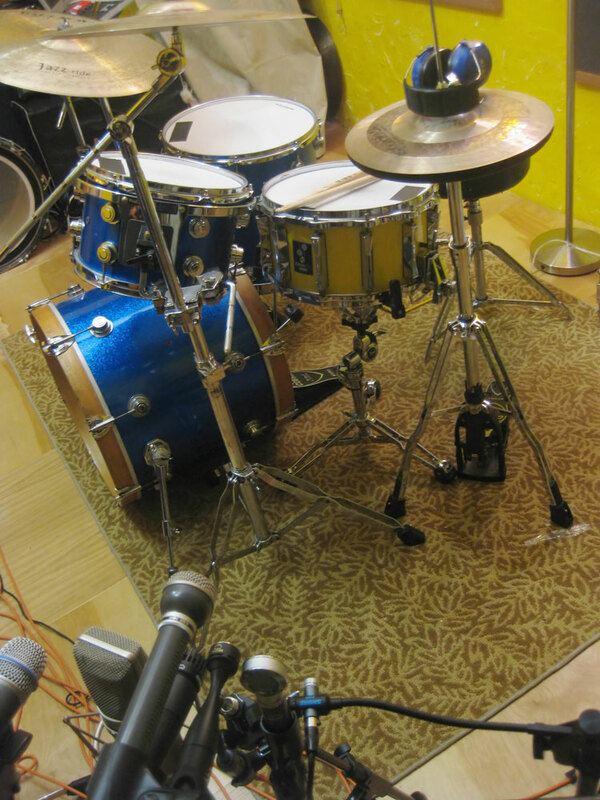 Overheads – Beta 181s have more lower mids that make the drums sound more full. AKG 451Es have slightly more attack. 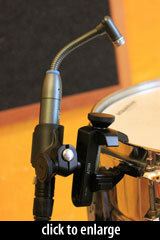 I favored the A75M Mic clip because it infinitely adjustable. 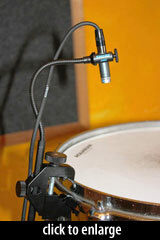 Due in part to the gooseneck of the 98AMP, precise mic placement on drums is quick and easy. 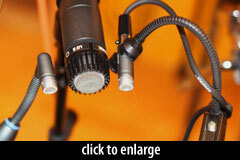 Because of the flexibility of the clip, firm tightening is essential to keep the the mic clip in place. The A98D can only be positioned horizontally or vertically so it is not quite as flexible as the A75M. It does have a longer gooseneck to compensate for the fixed horizontal and vertical positions. The bottom of the gooseneck is attached to a long hexagonal metal base which makes for a firm, secure grip. But, in the vertical position, the tall hexagonal base (even at the lowest positioning) positioned the mic high a bit above the drum, so I preferred mounting it in the horizontal position. Upon listening to the initial tests that Stan and I recorded, I wanted to further explore just how much output gain the Beta 98AMP and Beta 98A mics have. My drumming during the tests and for my instrumental song was moderately loud, and I did not play rim shots. But when I do need to play a bit more caveman-like, hitting hard and with rim shots, SPL levels dramatically rise it and this made me wonder how the Beta mics would perform under these conditions. I set up a Beta 98A, Beta 98AMP, and an SM57 on the snare drum. All three mics were connected to individual channels on an API 3124+ with the pad engaged and the gain knobs set at zero. I then played some ultra hard-hitting rims shots. 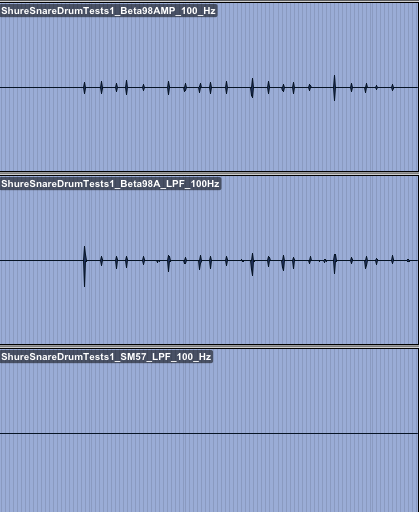 See the screen shot of the resulting tracks in my DAW; from top to bottom is a Beta 98A, Beta 98AMP, and an SM57. I was shocked at just how much more level there was on the Beta mics. So if your drummer is hitting hard, you just might need to get an inline pad while using the 98A and especially the 98AMP. 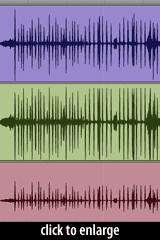 In my particular case with the 3124+, I would need to do this if I were recording a heavy hitting drum track. For those on computer speakers, 100Hz is probably difficult to hear. See a visual of the waveforms at right. I did some further testing of the Beta 98A and 98AMP — for each model, one mounted on the drum rim, and a second mounted on a mic stand — and an SM57. The results showed that the Beta mics had the same level of low-frequency information going through whether they were mounted or not. During the recording, I also played some softer spots to see if the low end stuff disappeared at lower velocities. It didn’t. Again, this is nothing that a high pass filter can’t fix, but it is important to know and hear that these extra low end is occurring. I am indeed impressed by the sound of all of the Beta mics reviewed here, and I’m looking forward to hearing them recording other instruments besides drums. They are great-sounding, well built, and contain tons of value for the price. I think they will be finding homes in the ever expanding number of project studios and home studios in the world today. Getting great sounds quick means getting to the art of performing music sooner — which is the whole point of getting into a recording studio in the first place. Well done, Shure! Huge thanks to Jon and Stan for putting this comprehensive review together! Be sure to visit Jon at JonMattox.com and Stan at StanKatayama.com. Thanks also to our friends at Shure for the loan of the Beta mics. The standard disclaimer applies: the microphones were provided for evaluation, and we are sorry we don’t get to keep them. Great article! Great in depth details, easy to read and well organized comments. I came to this page looking for more info on the Beta 56A. Awesome job guys! Very nice and thorough review! Great review, very thorough. Thanks so much for doing this! !